instruction on how to start it....and finish it. When we lost my wife’s mother to cancer, we lost the opportunity to write her amazing story. My wife and I kept saying, “We’ve got to write her stories for our kids....” We said we would do it....but we never did. Sound familiar? It’s what motivated me to start my business. 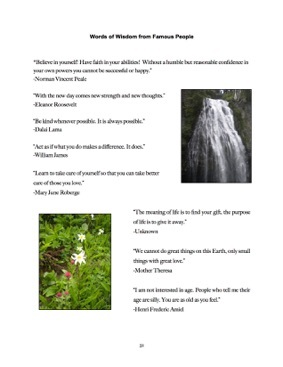 In 10 or 20 years from now, what do you think your grandchildren and great grandchildren will remember about you when they read your stories and see your pictures? 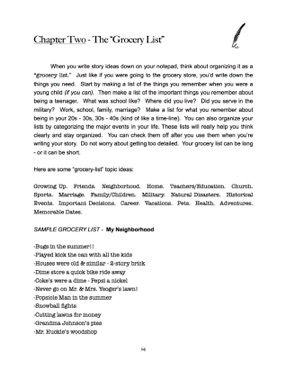 How will they describe to their children the things that are the most important to you? Think about it. It takes courage to commit to write your story. You are sharing your legacy with the ones that you care most about today. It is your story and it is important. 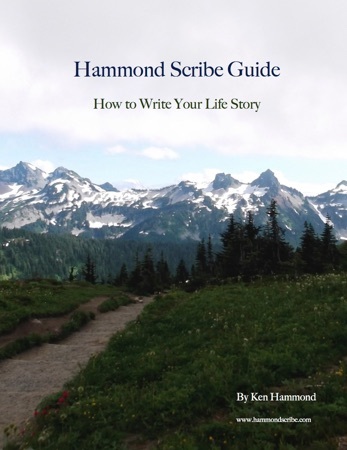 My intent is to help guide you through writing your story with the help of the “Hammond Scribe Guide.” I will give you some ideas for an outline, good resources, a little structure, and some simple, easy-to-understand tips that I have learned over the years. 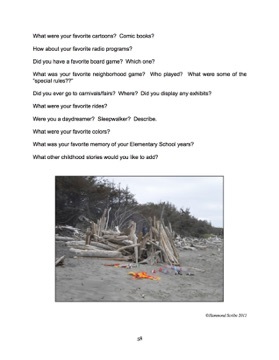 I will also include a variety of “Firestarter” questions and events to help you get your ideas and memories flowing. I will keep things simple and effective for you. My goal is to help you get started - and finish your story so you can share it with the ones that mean the most to you - at a price you can afford. It is your life....and your legacy. Checks, or major credit cards accepted.